The new year is a time to celebrate: to appreciate what you did in the year that's going out and look ahead to the one that's coming in. Whether you host a giant party or just stay in and relax, sending some cards out to friends and family is a great way to let them know you're thinking about them. Our New Year card templates are professionally designed and will stand out in a holiday season that's filled with store-bought cards. Ready to start customizing your own? 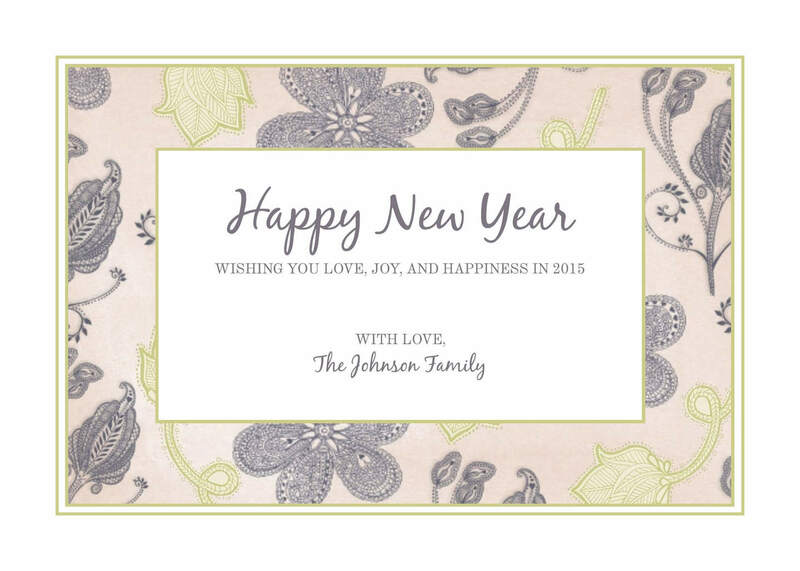 Just add your name, a nice sentiment and your photo, and you're ready to download, print and send your very own custom New Year card.